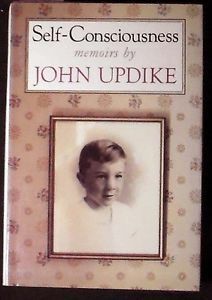 That could’ve been sheer imagination, but it was one of several minor heart-quakes that urged me to read more Updike, especially his 1989 Self-Consciousness: Memoirs. It goes to odd corners. It is no standard autobiography, rather more of a stitched-together series of essays in which “a mode of impersonal egoism was my aim: an attempt to touch honestly upon the central veins” of his life. He began the project in response to the apparently alarming hearsay that someone planned to write his biography, and his diffidence about it didn’t slow down this famously productive writer. It is self-deprecating, but not in the technicolour comedic tone that we tend to enjoy. Updike is earnest, a quietly but insistently yearning spirit who wants to take us along, to help us see what he has seen from under the wicker chairs on his childhood porch. I benefited from that view, and I loved most of it. “A Soft Spring Night in Shillington”, his opening essay, starts by recounting an airline mishap that accidentally resulted in Updike spending “an evening walking the sidewalks of Shillington, Pennsylvania, searching for the meaning of my existence as once I had scanned those same sidewalks for lost pennies”. The three decades that had passed since leaving his home town have him seeing the place in stereo, noting the changes but always returning to the way it was, the way we all go back to our own little corners of the world in dreams or unplanned reveries prompted by a poignant smell. I was there, too, hearing the echoes of my reading of The Centaur, much of which was highly autobiographical. What’s more, I also came from a similar small town a little later in the same century, though it took me much longer to get away and my homecoming strolls have been more regular – full of fondness, sentimentality, aimless rumination and a mild though chronic dismay. I know what he means: “There had been much self-conscious about my walk this night, a deliberate indulgence of…nostalgia….Yet my pleasure was innocent and my hope was primitive. I had expected to be told who I was, and why, and had not been entirely disappointed.” Overall, this was my favourite essay, though parts of his other memoirs spoke to me loudly or quietly instructed. Others were less comfortable, and not unintentionally. Updike centres each of the next three autobiographical musings on one of his own slices of existential awkwardness: his psoriatic skin, his lifelong tendency to stutter (not at all evident, praised be Eleanor and advancing age, in the Wachtel interview), and his sometime political incorrectness. “At War With My Skin” sees him offering painfully honest episodes of a life in which, from childhood humiliation to obsessive middle-aged sunbathing, he endured and finally mainly cured his condition. “Psoriasis keeps you thinking. Strategies of concealment ramify, and self-examination is endless. You are forced to the mirror, again and again; psoriasis compels narcissism, if we can suppose a Narcissus who did not like what he saw.” Ouch. His skin becomes the itchy touchstone of his life, from the toxic shyness of disfigured adolescence through decades where his more affluent adulthood allowed him to pursue, year-round, the healing powers of the sun. Not quite incidentally, winter Caribbean travels allow him his first substantial contact – and how could this be, though my small towns had the same monochrome ethnicity as his – with Black people. And later in the collection, he dives more deeply into the issue of race, as required by love, and proves the concluding reflection on the war with his skin. “The psoriatic struggles for philosophy, for thoughts that are more than skin deep.” Well, he did. Frustratingly, the letter returns to the subject of what it means to be “a New Jersey Updike”. As a summary that focuses on the man that I picked up Self-Consciousness to read about, and on the dear grandfather that Anoff and Kwame have no doubt read by now, it is much more interesting than the overlong genealogical survey that precedes it. 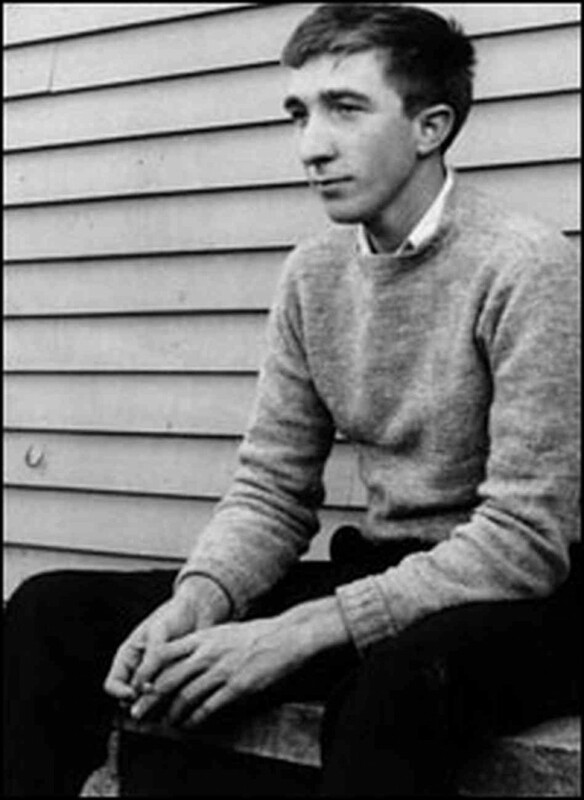 Still, obsessed as I often am about the sociology and psychology of race in North America, I wanted more of that cultural reflection, even as I enjoyed the return to a particular attention to John Updike after too many pages about folks I’ll never think of again. A genial elder, perhaps not long after the time of Self-Consciousness, bemused that he had once been a smoker. Work, or Elvis-worship, or even writing, Updike’s “last vice”, can supply this need. But as a Shillington lad, although he had seen the feebleness of the Christian belief of others, Updike “decided I nevertheless would believe…What I felt, in that basement Sunday school…in Shillington, was a clumsy attempt to extend a Yes, a blessing…” and his “poor little art” would become the most obvious and enduring attempt to honour that blessing. He acknowledges that fiction has its dark facets, too, “so my art, like my religion, has a shabby side,” in which he includes these memoirs, and especially his doomed attempt to write about his own spiritual leanings, since religion at its best inclines toward selflessness while his book proclaims Self-Consciousness. One of the most admirable things I found in it, though, is exactly this willingness to face inadequacy, to confront paradox, and to honestly – at times with blazing frankness – account for the changes and chances of his life. We feel safe, huddled within human institutions – churches, banks, madrigal groups – but these concoctions melt away at the basic moments. The self’s responsibility, then, is to achieve rapport if not rapture with the giant, cosmic other: to appreciate, let’s say, the walk back from the mailbox. 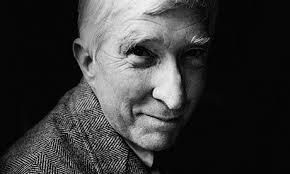 Or the mind of John Updike. I’ll be back for another tour.